For a listening experience like no other, Beale Street Audio is raising the bar for architectural audio expectations yet again with the introduction of their first Left/Center/Right Channel (LCR) loudspeaker. The super-slim, two-way in-wall "Pancake" LCR speaker measures less than three inches deep and will redefine and upgrade home theater systems everywhere through its positioning and performance capabilities. The LCR Pancake series is currently available in two models: one for the Beale Street Audio line, which is the IPLCR-BB, and one for the Xpress line, which is the BXPLCR401. Powered by Beale's signature Sonic Vortex technology, both models feature an ultra-shallow depth of less than three inches. The IPLCR4-BB features a one-inch Titanium tweeter and dual four-inch carbon fiber woofers, while the BXPLCR401 provides a one-inch Aluminum tweeter and dual four-inch ribbed injected polypropylene woofers. Both models achieve an impressive frequency response of 62 Hz to 20 kHz with a sensitivity of 92 decibels. The LCR Pancake can be installed vertically or horizontally depending on the application such as a Left, Center, Right around a flat panel or screen, as a stereo pair, or even as an in-wall rear channel. Either placement brings the same incredible sound with rich, deep bass made possible by Beale Street Audio's performance-enhancing Sonic Vortex technology inside a compact, integrated and tuned cabinet. This design optimizes air movement to produce a phenomenal sound. The ultra-thin LCR in-wall speaker is ideal for situations where wall depth presents installation challenges, but high-level performance is still required. The LCR Pancake speaker integrates seamlessly with other Beale Street Audio in-ceiling/in-wall speakers or subwoofers and creates an ideal solution for those seeking a fully concealed audio system that does not sacrifice audio performance. Across the entire line, Beale Street Audio speakers and subwoofers are highly scalable with infinite variable designs for both cabinet air volume and port dimensions, allowing for flexible design options. The IPLCR4-BB is available dealer direct only through Beale Street Audio, and the BXPLCR401 is in the Xpress line and available via the authorized distributor channel. 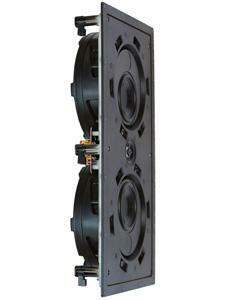 • Beale Street Audio Unveils Its Slimmest In-Wall Speakers Ever at HomeTheaterReview.com. • Beale Street Audio Launches Four Amplifiers and a Calibration App at HomeTheaterReview.com.